A few months ago I received a call from Eric Becker at We Are Shouting, a production company that works with Digital Photography Review (dpreview.com). They were working on a full fledged review of the Nikon D5 and wanted to do a Field Test video review of the camera with a pro photographer to go along with their in-depth report. For these Field test video reviews, DPReview sends out one of their top editors to shoot alongside a pro photographer and discuss various features of the camera. Rishi Sanyal is the deputy editor and technical editor at DPreview.com and is the most knowledgable person I have ever met when it comes to digital camera technology. 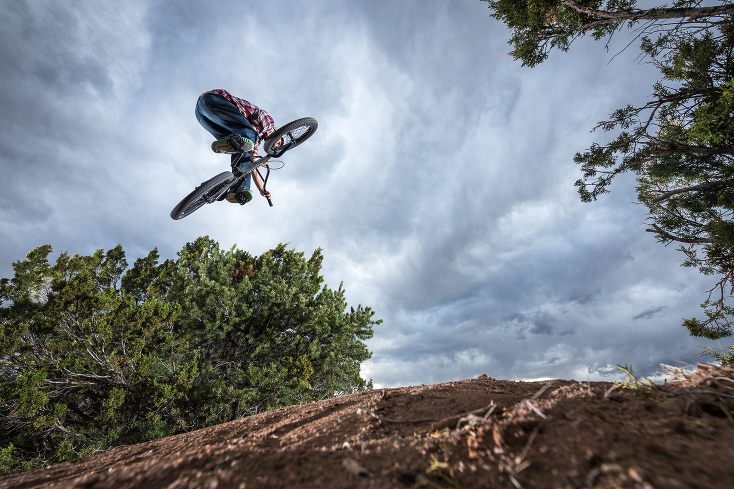 He and the video crew came down to Santa Fe, New Mexico and we worked side-by-side for three days shooting a variety of fast-paced adventure sports including BMX, whitewater kayaking and motocross. 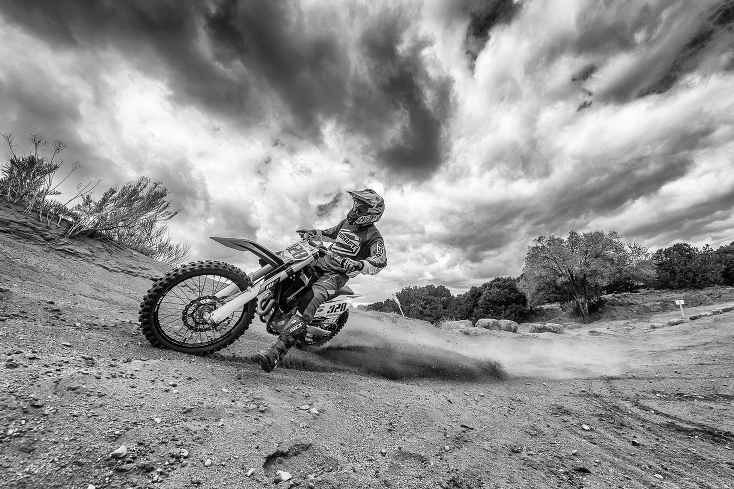 These are three of the toughest sports to shoot as far as autofocus and keeping up with the action, so they were an extreme test for the Nikon D5. The in-depth Nikon D5 review went live several weeks ago. The Field test video featuring Rishi and I went live just a few days ago. Check out the Field test video right here below. Afterwards, come back and read my thoughts on the camera in the rest of this blog post. I have been working with the pro Nikon digital camera bodies since the D2x came out over a decade ago. My main workhorse action camera these days is the Nikon D4, which is no slouch. 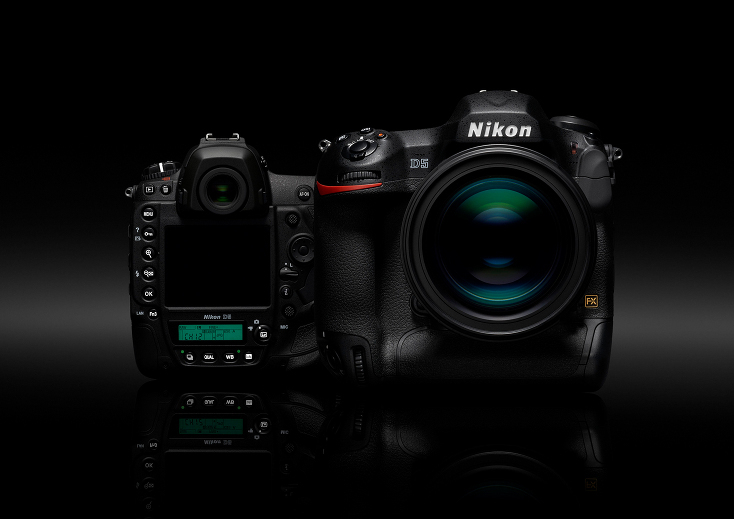 The D5 is the culmination of everything that Nikon has learned since they introduced the Nikon D1 way back in 1999. The D5 is not the highest resolution camera they offer, nor is it the lightest or most ideal camera for shooting in the studio. This is a camera designed for photojournalists, sports and action photographers, and photographers who need a super-reliable do-anything camera. For portraits, I would reach for my Nikon D810 over the D5. But when it comes to action sports, especially when it is happening in less than ideal lighting, the D5 is the camera I would reach for. Here in this review, I am not going to pixel peep and get deep into the technical aspects of the camera; The folks at DPReview have done an excellent job discussing the nitty gritty details already. Here, I am going to give the pro perspective on this new camera body and how I feel it stacks up against the Nikon D4 and D4s. Let’s just get one thing out of the way right off the bat: The autofocus built into the Nikon D5 is by far the most incredible autofocus I have ever seen in any camera bar none. It blew both Rishi and I away. With all of my Nikons, I have either used single point AF in AF-S mode or Dynamic AF in AF-C (Continuous mode) and have found those to be super reliable. With the D5, Nikon has taken 3D AF tracking to a whole other level where it nearly completely frees you up from focus points and will follow the action from edge-to-edge in spectacular fashion. With 3D tracking, you have to initiate the AF on your subject and then from that point on it will track the subject anywhere in the frame. The image above is an excellent example of this, where I followed the rider into the frame then selected my composition and let the 3D tracking stay with the BMX rider, Daniel Coriz. There were very few situations where the 3D Tracking AF missed focus. Rishi and I also tried out Auto AF in AF-C mode, which is an autofocus mode I generally would never trust with previous Nikon models, but it was ridiculously accurate for quite a wide variety of scenarios allowing us to focus on composition. To sum it up, I don’t know how autofocus could ever get any better than this. The autofocus in this camera alone is reason enough to upgrade or add a D5 to your camera bag if you shoot action. As further proof of the autofocus accuracy, the above shot of Daniel Coriz riding motocross shows just how good the D5’s AF is. For this shot, Daniel was moving so quickly relative to the camera position that we had to shoot at 1/8,000 second or he would be soft due to motion blur. This image was shot wide open at f/1.8 with the Nikkor 24mm f/1.8 lens and it is tack sharp where we want it to be right on his face. I don’t think my Nikon D4 could have kept up anywhere near as well with this sort of scenario. This was also quite a dangerous spot to shoot from; Rishi had a sizable rock that shot out at him from under the tire of the bike like a bullet. Luckily it hit the camera and not his head. The camera was fine. The Nikkor 24mm f/1.8 was getting a bit beat up with all do the dirt flying straight at the lens. The only time I saw the autofocus fail was with a few very specific scenarios while shooting whitewater kayaking. I consider whitewater kayaking to be the ultimate test of autofocus. There are splashes of water popping up all over the place between the camera and the subject, and very few cameras stick with the subject if a splash of water pops up in the frame. With more time, I think I could have tweaked the “Lock On” custom settings in the D5 to overcome this scenario and have it stick with the subject regardless of the water splashes. Other than in this very specific situation, the camera did phenomenally well. It did better than my D4 or any previous Nikon camera could in this scenario. Nikon offers the D5 with either two CompactFlash memory card slots or two XQD memory card slots. Since the Nikon D5 is built for action, if you are buying a D5, I have no idea why anyone would get one with CompactFlash card slots instead to the XQD. The XQD cards make this camera lightening fast. In our testing, Rishi and I found out that having the latest, fastest XQD cards was important. My older XQD cards, that I purchased with my Nikon D4 four years ago, were so slow when used with the D5 that it took several seconds for the images to be written to the cards whereas the latest XQD cards that Rishi was using never skipped a beat or slowed him down at all. In fact, even after shooting a ridiculous 100+ images at 11 fps the images were written to the card by the time he took his eye away from the viewfinder and looked down at the back of the camera. My recommendation is if you are getting this camera, get the XQD version and buy new cards. There has been a lot of hype out there that this camera doesn’t have the dynamic range of some of it’s predecessors, and that may be the case in the laboratory, but I didn’t notice it to be an issue in real world usage. Granted, I wasn’t shooting landscapes with the D5. For landscapes, I would be shooting with a D810 anyway. With my D4, I tend to shoot at ISO 400 and above about 75% of the time, and am often shooting at ISO 800 and above. The D5 is optimized to be used at higher ISOs. So, at least for me and the way I shoot with the pro body cameras, the dynamic range is not an issue. My thanks to DPReview and We Are Shouting for pulling me in to do the Field Test with the Nikon D5. Not only was it a great chance to test out this new rig, but we also managed to get some pretty cool images in the process. Also, thanks to the athletes who worked with us: Daniel Coriz (BMX and Motocross), John Fullbright and Aren Rane (whitewater kayaking). Without their hard work these images wouldn’t exist and the video would be a lot less interesting. To find more info on the Nikon D5 visit www.nikon.com.